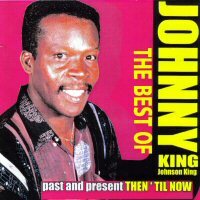 The title - The Best of Johnny King - and the sub-title Past and Present, Then ‘Til Now – accurately encapsulate this collection of calypso and soca. In seventy-three minutes of listening one moves through contemplative and party lyrics and the steelpan artistry of Len Boogsie Sharpe (“Ah Want it”). The recording is a celebration of the indigenous personality in the local vernacular. The major hits such as “Appreciation”, “Nature’s Plan’ and “Wet Me Down” make the CD a worthy addition to any collection, even if you have each of them on various recordings. The other eleven tracks make a compelling case for The Best of…. Consider that the arrangers for the fourteen tracks are, separately, Junior Ibo Joseph, Leston Paul, Frankie McIntosh, and Nicholas Brancker. The Best of Johnny King with the best.